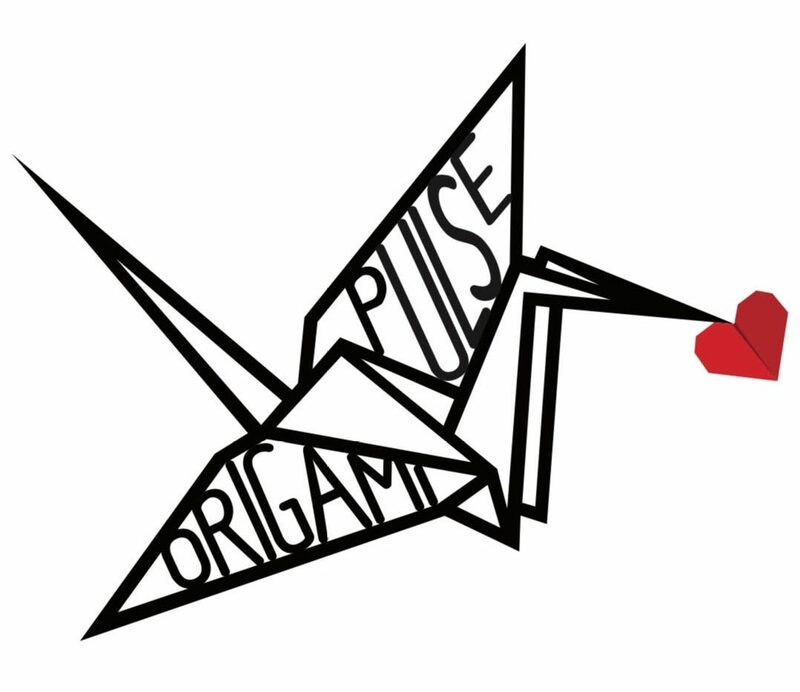 The word Origami comes from the Japanese words “ori” meaning to fold and “kami” meaning paper. The art of Origami begins with the invention of paper. The Chinese were the first to make paper and were producing it during the 2nd century A.D and probably even earlier than that. The process of paper making spread slowly through Asia and the Middle East and eventually reached Europe in about 1150. The Japanese refined and extended the paper making process until it became an integral part of their everyday lives. Paper became and still remains more important and more revered in Japan that it has ever been in the West. The oldest surviving designs of Origami are of Japanese origin dating from the 2nd century A.D. These early designs were important in establishing the vocabulary of the art. More recently the imposition of Western values on Japanese culture meant that many indigenous arts declined and from the mid 1800’s to the 1930’s Origami almost became a lost art. It only survived by mothers teaching it to their children and the symbolic meaning behind many of the designs were lost. Origami became no more than an amusement. In the early 1900’s a slow trickle of leaflets and books filtered through to the West giving instructions for simple folds. These created a little interest, but in the early 1950’s a stage illusionist and magician, Robert Harbin, who had become very interested in Origami, produced the first serious book ever to appear in the West. It was called ‘Paper Magic’. This book inspired many people and in 1967 the British Origami Society was formed. Today Origami has a wide appeal. It is an art that anyone can do, anywhere and at any time. All that is needed is a piece of paper and a pair of hands. The fascination of the art is in making something beautiful from something as ordinary as everyday paper. The richness of the art comes from its purity. In recent years, research has shown that art and craft in health and social care can bring many benefits to the individual. The Mental Health Foundation have concluded that arts therapies significantly improves mental health, social functioning and in particular, highlighted improved self-esteem, communication skills and social interaction. Furthermore, the practice of Origami can be beneficial to our physical health. Dr. John Hillery, consultant psychiatrist and director of communication and education at the College of Psychiatrists of Ireland explains that involvement in an activity that is absorbing and challenging is good for one’s health. An activity like Origami, which requires total concentration and action, but with achievable challenges leading to a product, absorbs our mind and gives us a feeling of mastery and achievement. Origami provides both mental and physical stimulus with exercise. Use of the hands stimulates areas of the brain, improving short-term memory. It offers a calming and relaxing effect by following a simple step-by-step process, which can be repeated and taught again and again, until success is achieved. Origami offers a chance to unwind and live in the moment, one-fold at a time. It helps to silence ‘negative noises’, internal and external, and builds self-esteem – a major contributor to positive mental health. An Origami session is an opportunity for participants to realise their potential to learn a new skill. Folding a heart or a frog can be a starting point towards learning a new skill. This small step provides a feeling of accomplishment. The taste of achievement helps to rebuild their confidence. Unlike other craft activities, Origami does not require complicated tools or expensive materials. All that’s needed is a piece of paper, and the results are enjoyed almost immediately. Origami is a neutral, non-threatening activity which allows everyone to try something new and become an inventor or magician. Fear or embarrassment of failure is quickly dispelled when great results are forthcoming almost immediately. The ability to turn a piece of paper into a two/three dimensional model provides a sense of pride, competence and accomplishment. Dr Lizzie Burns has run over 2,000 creative sessions with adults in hospitals with Origami being the most popular and engaging choice. Wherever possible participants are encouraged to give honest feedback to help improve the service. From over 500 evaluation forms, the average score was 4.75 (where 1 is poor; and 5 excellent) with 99% of patients suggesting sessions were helpful. When asked in what way; half of patients suggested to help stimulate the mind, while a fifth found sessions helped to connect to others, a fifth helpd to lift mood, another fifth for relaxation. When asked how a session made them feel, 62% suggested a session made them feel joyful, while a quarter relaxed, and a tenth expressed a sense of achievement. When asked if sessions should continue, everyone who gave feedback suggested yes definitely, or with gratitude for the opportunity. From just one session many patients have continued themselves, bringing joy, learning, achievement and a connection with others that is not related to illness. Making a neat, firm fold is the essence of Origami. It is easier if you rest your paper on a hard surface such as a table or a hard-backed book. Move it about until the corners are exactly aligned. Don’t rush this. Hold down the corners with one hand and run your other forefinger firmly down to the centre of the fold. Run the finger firmly to the right to form a crease and back again to the left to complete the crease. Check that the corners are still aligned. Beginners should be sure to start off by creating very basic designs. Origami is an art that must be mastered in increments or it will seem overwhelming. Trying to run before walking may lead to disappointment.